Our study pilgrimages last anything from 10 – 14 days in the Holy Land and 3 – 4 days in Jordan. We seek to give pilgrims who come to us a thorough and full experience which delves deeply into the religious and historical significance of the sites based in theology and archaeology. The College maintains an ethos of prayer and spiritual reflection which invites pilgrims to experience a journey inwards as well as being a fascinating outward journey in the Holy Lands. Courses comprise anything from ten to forty pilgrims. You will meet other Christians on your course from a variety of parts of the world who will enrich your experience whilst with us. You may well make life-long friends. The teaching staff are experienced guides to the places and issues which can be confusing to those who come as pilgrims. Our study pilgrimages impart information at a deep level by employing on-site talks and College-based mini-lectures. The pilgrimage experience enables people to encounter God in Christ through the entire period of the pilgrim’s time with us. Our study pilgrimages are steeped in the Christian faith but we engage in respectful and intelligent ways with Jewish and Muslim traditions too. We visit places of worship of these faiths in order to have a better understanding of the Abrahamic faiths with whom Christians share important things in common. We also do not only want pilgrims to be focused only on the past. 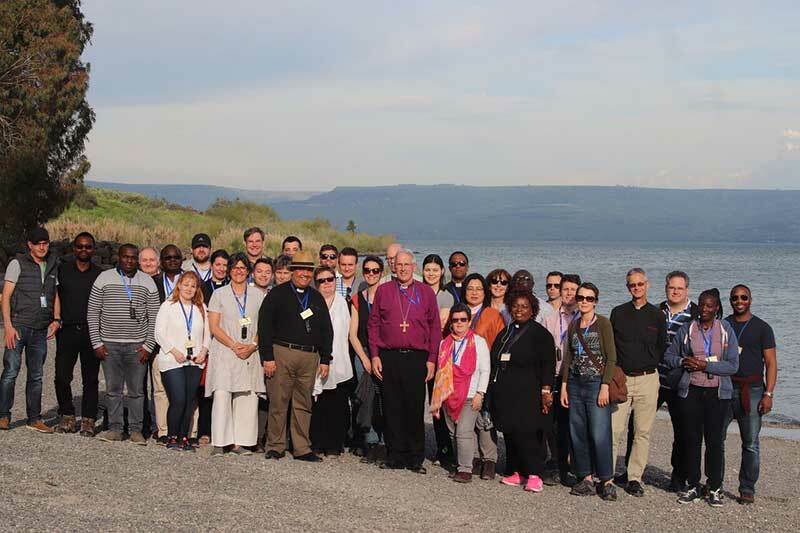 The present experience of Christians in these lands features significantly on our courses. Also political issues are explored in order to help St George’s pilgrims to depart with a clearer understanding of the contemporary reality of this complex land and its peoples. Choose from any of the various study pilgrimages available in order to find the one that best suits your interests now. And then, if possible, return on another occasion to experience something different. We can assure you that whatever you choose, you will be transformed in your understanding, deepened in your faith and enriched by the fellowship that you experience at St George’s College.